(Cattle Exploitation - Veal - 08) It's no wonder that this calf has such a forlorn look. He has known only cruelty from the day of his birth, and that's all he will know until the day of his death at four months of age. 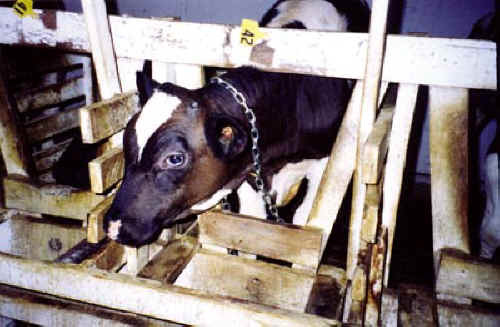 Every piece of veal that a person eats says that they support this kind of abuse.